Increased funding that will bring the Department of Education budget to a record high of €10.7bn next year drew a mixed response, including criticism of the failure to do more to end austerity-era cuts. The €674m includes €147m to meet pension and lump sum costs, a higher than usual allocation at this time, which has been agreed to avoid the need for a supplementary estimate later in 2019. The allocation also includes €122m to cover public service pay rises, including the recently negotiated deal for new entrants. 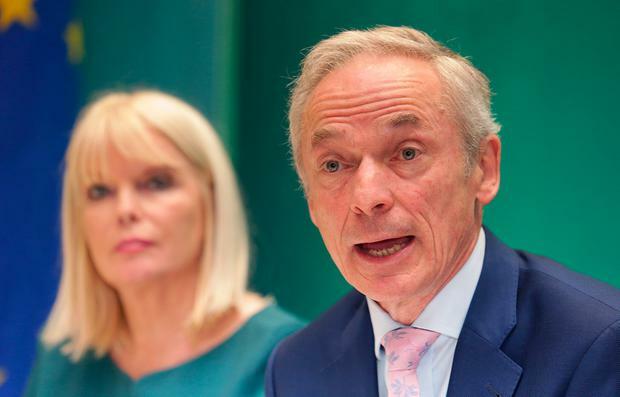 Education Minister Richard Bruton insisted that the Budget would "help us make significant progress on our journey to becoming the best education and training service in Europe by 2026". A much-anticipated rise in capitation grants to schools to meet daily running costs was delivered, but the Irish National Teachers Organisation (INTO) described the 5pc increase as a "pittance". It restores €8.50 of the €30 a year cut to primary schools since 2010, which the INTO said amounted to 4.6 cents per pupil per day. At second level, the increase works out at €14.80, against a cut of €49. John Curtis, of the Joint Managerial Body (JMB) representing about two in three post-primary schools, said at a time when there has been restoration of most of the cuts implemented during the recession: "It is regrettable that students, parents and schools are disadvantaged in this manner." The Catholic Primary School Management Association (CPSMA) general secretary Seamus Mulconry welcomed the increase as the "first small but positive step to restoring financing". According to Fianna Fáil education spokesperson Thomas Byrne, the increase, which is covered in the Confidence and Supply Agreement, "met a significant level of resistance at Cabinet that was difficult to comprehend". There will be 1,300 more teachers and special needs assistants (SNAs) in schools next year, and some extra supports for principals. But Mr Byrne said it was "somewhat disingenuous to announce 'additional' teachers and SNAs considering these additions will just about keep in line with our rapidly growing young population". While the Irish Universities Association (IUA) welcomed the allocation of €57m in extra funding for higher education, on top of existing commitments on national pay increases, director general Jim Miley said "it only allows the system to tread water". And, from January 2020, there will be a ring-fenced, €300m for a five-year Human Capital Initiative, to boost skills across the economy, including on a regional basis, as part of the Government's response to Brexit. The money will come from the National Training Fund (NTF). Meanwhile, the Technological Higher Education Association (THEA), which represents the institutes of technology, was more welcoming of the funding announcements. THEA chief executive Dr Joseph Ryan acknowledged the overall lift in higher education spending was enabled by the increase in the employer contribution to the NTF. Skillnet Ireland welcomed the €6m, or 29pc, increase in its budget. €300m over five years for Human Capital Initiative to boost skills.